Display any your message where it matters and presents you. 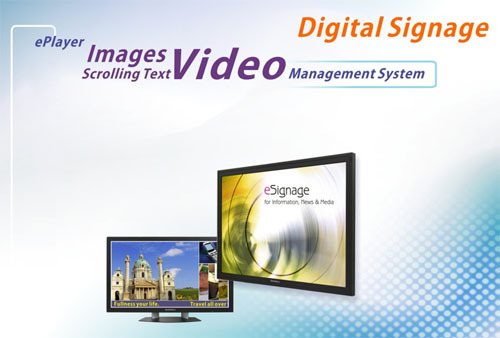 Digital signage is completely changing and improving the way your company, your business and your store interacts and communicates with your customers, supporting you to deliver stylized and personalized in multimedia, instantly updatable your messages when and where they are at the most effective, it is reducing costs and increasing revenues at the same time! 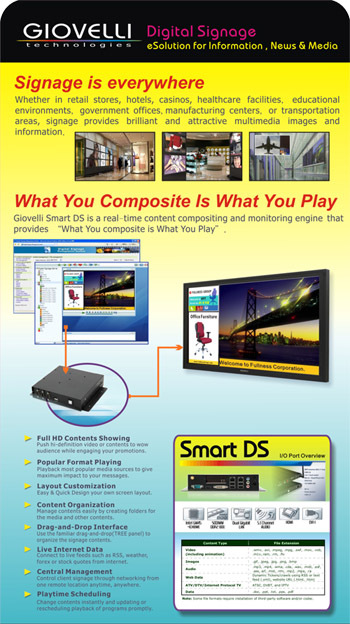 Our unique Smart DS solutions can exactly support you how digital signage can be easily and successfully implemented in your enterprises, assisting you with worried free content creations and knowledge that you need to reap the biggest rewards from this advanced new technology.